Over the months of April and May I was up the walls with a secret side project of which I will be talking about very soon. 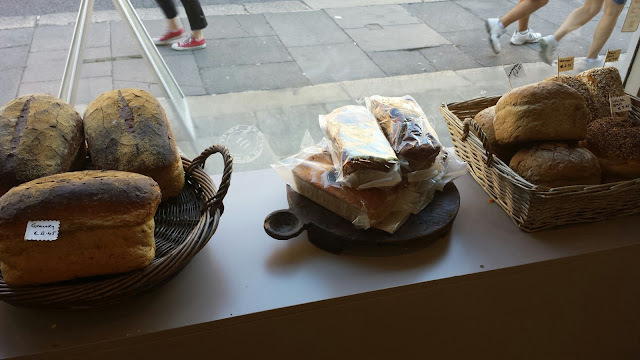 However the opening of Hansel and Gretel Patisserie over on Clare St. Dublin literally flew right under my radar until recently when I saw it reviewed on French Foodie in Dublin's blog. 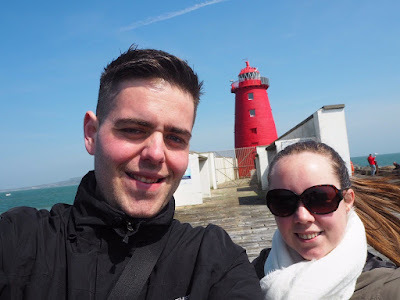 So I thought today was as good as any to brave this truly stunning weather we have been experiencing in Dublin of late. I say this because every time I seem to go out in the weather I feel like the witch in the Wizard of Oz, "Look what you've done! I'm melting! Melting! Oh, what a world! What a world!". 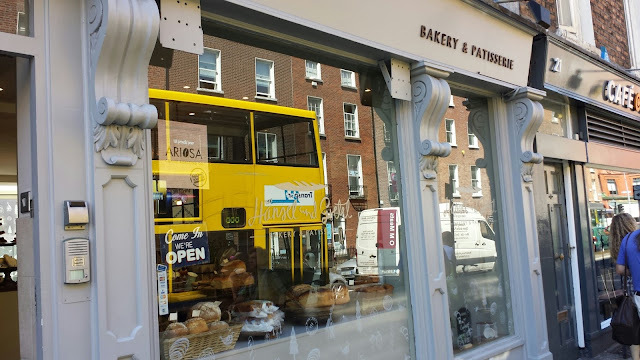 As you can see from my wonderful photography skills I even managed to capture the quintessential Dublin bus in my shot of the patisserie's facade. 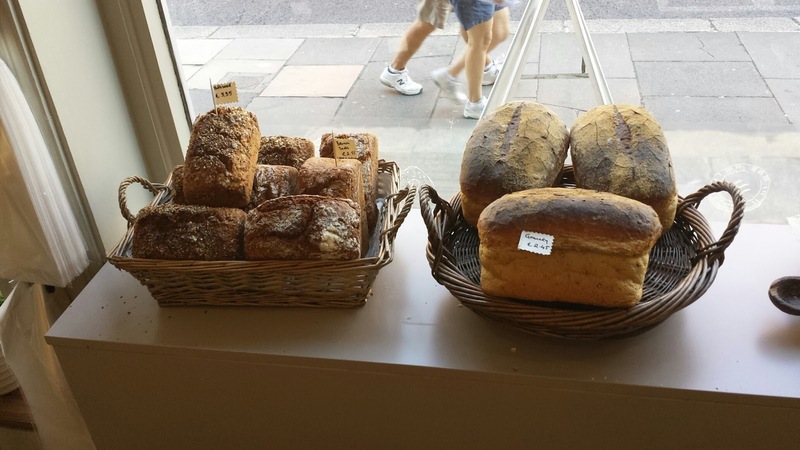 The front has lots of lovely bread adorning the window making entry so tempting. When you get in there is bread and baked goods everywhere beautifully laid out. There is also more tarts and desserts in a chilled cabinet at the counter. 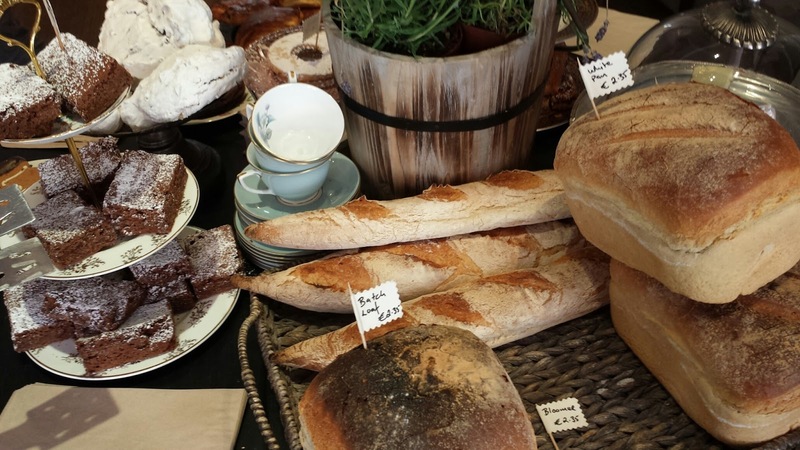 Dublin city for so long has been crying out for bakeries and patisseries of which we are beginning to see more of in the form of the Paris Bakery on Moore St. Anyhow the reason I was in the shop was to buy a nice baguette for dinner tonight to make bruschetta, and because I couldn't resist I picked up a big chocolate cookie for a little treat for me and Joanne afterwards. The shop is stocked daily I believe with baked goods that are produced offsite, so the only downside is you don't get that fresh baked smell of breads in the background, that is minor though as this shop is not one to miss. I cannot wait to return and I urge you to pay them a visit. P.S they also sell coffee if you just want to stop in for a pastry and a caffeine fix. It's fantastic! It is especially great for us cake lovers among us.